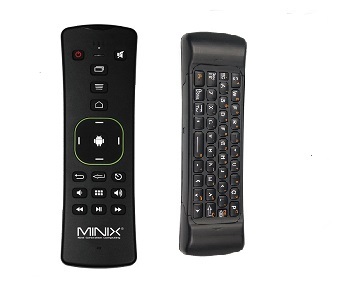 The MINIX NEO A2 lite is an all-in-one air-mouse / keyboard, which offers everything for a great user experience. Such as awesome audio-features, spacious keyboard, gyroscope gaming support and accurate air mouse functionality. By using the latest 3D + gyro technology, the MINIX NEO A2 lite is fully equipped with gyroscope gaming support which will allow you to use the MINIX NEO A2 lite for example for playing simple motion controlled games. The MINX NEO A2 lite offers enormous freedom and mobility, a 360 degrees accurate function and superior control for the user. The dual keyboard is especially designed for efficient typing, chatting on Facebook or sending e-mails.